As promised, this month we shall explore the actual life of Benedict Arnold, his troubled efforts to recoup the family fortune and care for his mother and sister, and his eventual fate – how he became the most infamous of all American Revolutionaries – the Traitor. The parents of our subject, Benedict Arnold known throughout history as The Traitor, were Benedict Arnold III and his wife, Hannah Waterman King Arnold. From this union were born six children – four of whom would never live beyond their youth. * Arnold, Mary, daughter of Benedict & Hannah: died Sept. 10 1753, age 8 yrs, 3 mos. * Arnold, Elizabeth, daughter of Benedict & Hannah: died Sept. 29 1753, age 3 yrs, 10 mos. * Arnold, Hannah, wife of Capt. Benedict & daughter of John & Elizabeth Waterman, died Aug. 15, 1759, age 52 yrs. The toll these tragedies took upon the father of our Benedict V, known always as The Traitor, was almost immeasurable yet certainly comprehensible. To have such terrible tragedies hit one after the other took Benedict III from the role of supportive husband, proud father, and successful businessman to that of a forlorn, drunken failure. Of his six children, only two now remained: Benedict Arnold, the second son of this union so named, and his sister, Hannah who was the namesake of their now deceased mother. The thriving mercantile business founded by Benedict III was now heavily afloat, and rapidly sinking, in debt. The father was now the town drunk, frequently arrested for public drunkenness and public displays of unacceptable behavior. By 1761, the elder Benedict passed away, his reputation now so tarnished he was refused communion by his own church. An ignominious ending for a man once gifted, bright, successful, and rightfully expectant of a wonderful life. Benedict Arnold V (the Traitor) as a young man. One can only imagine the potential for bitterness in young Benedict. Once welcomed in the homes of the most influential, upper crust families in Norwich, he was now apprenticed as the poor relation to his uncle’s and cousin’s business. It must have rankled. Yet, he took up his yoke, bent his back and made the best of the situation. Along the way, not only did he learn the trade – he learned the trade secrets and the ways and wise of the streets. For he became a street fighter, and a successful one at that, as well. He established a popular and profitable business as a bookseller and pharmacist in New Haven, Connecticut. His astute business sense permitted him to not only repay the loans made to him by his Lathrop relatives, but to pay back the outstanding debts incurred by his father on the family home. Within a year he had sold the old family homestead for a comely profit – a profit so substantial it permitted him to purchase, in a partnership, three sailing ships and establish his own trading enterprise. He then brought his sister Hannah to New Haven, made her his business manager in his apothecary trade and set about expanding his horizons. Benedict often sailed one of his own ships as he travelled from New Haven to Quebec and to the West Indies in pursuit of trade goods. Thus, we encounter one of the early signs of Benedict Arnold’s self-governance. In the course of establishing this trade business, the British Crown imposed upon the colonies two highly unpopular acts intended to extract for the King the profits being obtained by the colonists: The Sugar Act of 1764 and the Stamp Act of 1765. These two Acts imposed high taxation upon all goods sold, all papers created or used to transact business. The Acts were so unpopular they formed the basis for the Colonists’ early murmurs of rebellion. This early and personal rebellion against the Crown, the King, evidenced Benedict Arnold’s willingness to engage in civil disobedience in pursuit of his personal enrichment. Throughout his early years and later, as he engaged in his military career, this tendency would be prominent. At the young age of 14, in 1755, Benedict Arnold first displayed his interest in joining the Army. His mother, still alive at that time, refused to permit him to do so. However, two years later, at the young age of 16, he did – indeed – march off to serve in the French-Indian War. His term of service in that endeavor was a mere 13 days and is colored by rumours he deserted his unit in early 1758. The entire tour with the Connecticut Militia lacks any element of glory, for not only were their engagements met with uncertain victories, their Indian allies engaged in atrocities which met with sanctions from the general public. Sister Hannah, who had wielded control of the Arnold household even while Benedict’s first wife and mother of his first three sons yet lived, took up the role of house mistress and caretaker of his children in support of her brother in his grief. This freed Benedict to pursue his military career, his desire to assuage his forlorn lot directed to this end. He accepted General Washington’s request to resume his command. He suggested to Gen. Washington an invasion of British troops sequestered in Quebec City, a suggestion that bore fruit; however, he was bitterly disappointed when he was not given command of that invasion force. His many years in trade with Quebec made him singularly familiar with the city and its people. Soon thereafter, a second expedition was formed under his command. This attack was to move through the backwoods of Maine, equipped with 1,100 men and Arnold was granted control. The Battle of Quebec (French: Bataille de Québec) was fought on December 31, 1775, between American Continental Army forces and the British defenders of Quebec City early in the American Revolutionary War. The battle was the first major defeat of the war for the Americans, and it came with heavy losses. General Richard Montgomery was killed, Benedict Arnold was wounded, and Daniel Morgan and more than 400 men were taken prisoner. 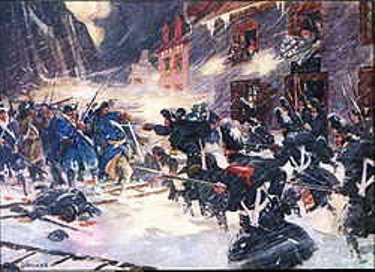 The city's garrison, a motley assortment of regular troops and militia led by Quebec's provincial governor, General Guy Carleton, suffered a small number of casualties. Montgomery's army had captured Montreal on November 13, and early in December they joined a force led by Arnold, whose men had made an arduous trek through the wilderness of northern New England. It was John Brown who published a handbill which claimed of Benedict Arnold: "Money is this man's God, and to get enough of it he would sacrifice his country". In this vicious statement, we may well discern a truth that foretells Benedict Arnold’s ultimate treason against his country. For, after a shattered youth with all dreams destroyed, he would spend a lifetime in pursuit of the wealth his father’s downfall had denied him. Along with that, he would spurn even the slightest verbal criticism by physical, overpowering aggression against the naysayer. This tendency would both endear his troops to fierce loyalty and engender hatred among his military peers. Although lacking in particular height, his was a powerful and attractive physique. Handsome in an aristocratic manner, with aquiline nose, sharp features and a stocky yet flexible build, he carried himself with the air of the high born. For he was, indeed, the descendant of a family whose fame had graced two continents. 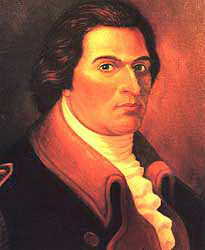 Benedict Arnold’s desire to regain the reputation lost by virtue of his father’s improvident drunkenness and squandering of the family wealth seemed to goad him into a perpetual show of riches, flirting with financial disaster, and driving him to finagle and manipulate in order to enrich his coffers. Next month, we will look at the many factors at play in Benedict Arnold V’s personal life and military career that turned him from potential greatness in American and world history to become America’s most famous traitor. 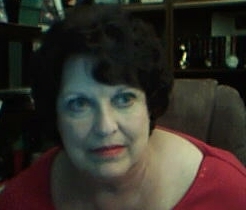 We will also explore the known distant relation this man has to our family line and the possibility that relationship is even more complex.